How our Beauty Director found a signature scent that doubles as an antidote to life’s little (and not-so-little) stressors. I’ve been telling my mom for years that, if she had gotten me a dog as a kid, she could have spent less on therapy. But it wasn’t until five years ago, when I finally got my pup Kanushi, that my mother realized I was right. But while Kanushi is my everything and makes me incredibly happy, my anxiety still occupies a bigger-than-ideal role in my life. Over the years I’ve learned to manage it, but whenever I’m presented with a purported antidote—especially one accompanied by sound science and a compelling story—I’m open to testing. Rewind to three months ago, when The Nue Co. introduced me to their latest launch: The Functional Fragrance, a scent designed to help you reset at times of high stress. At first glance, I was skeptical (blame my years as a beauty editor). But then I was shocked by how hard I fell for it. Full disclosure, I am not a perfume enthusiast. I certainly appreciate it and, not to brag, have been told by more than one perfumer that I have a great nose, but I haven’t had a signature scent since I was 15 and donned Burberry Brit daily. After spritzing The Functional Fragrance on my pulse points, however, I took a whiff and felt a distinct sense of calm. And no, I’m not saying my mood completely changed or that I was instantly a new person, but the green cardamom and cedarwood aroma put me at ease on a sensory level (plus, it reminded me of an elegant version of a campfire sans smoke). Meet my new signature scent. 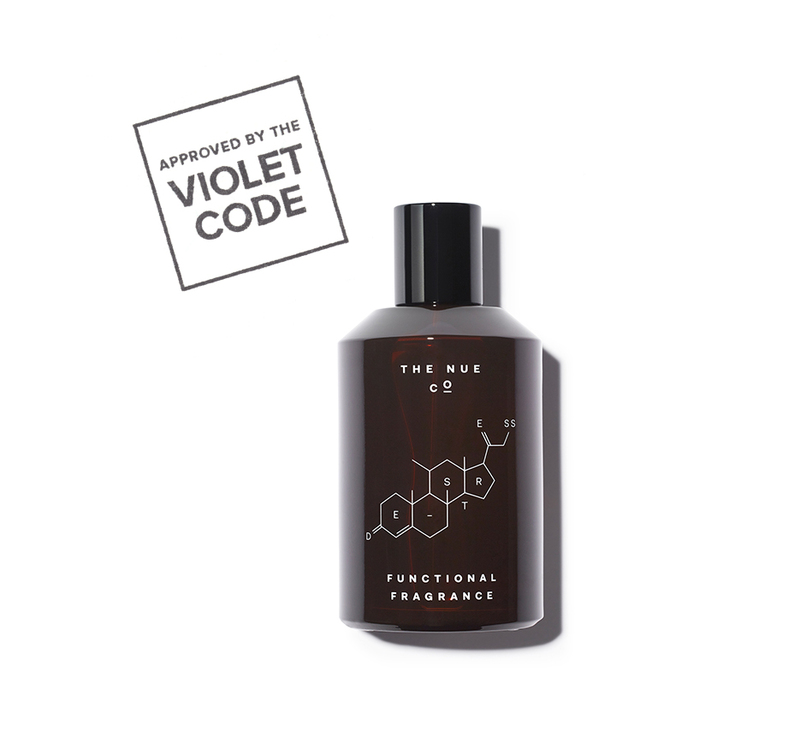 Non-toxic and vegan, The Functional Fragrance blends the aforementioned green cardamom and cedarwood with notes of iris, palo santo, bergamot, ambrox, and cilantro. In collaboration with fragrance house Firmenich and perfumer Frank Voelkl, The Functional Fragrance was developed using research from the Brain & Behavior Laboratory at the University of Geneva regarding the neurological reactions provoked by certain scent groups. Simply put, cognitive function and fragrance work closely to determine (or trigger) your emotional state. Spritz twice throughout the day at moments of high stress to reset and re-center. Apply to the wrists, neck, ends of your hair, or wherever you want to be kissed. Inhale deeply.